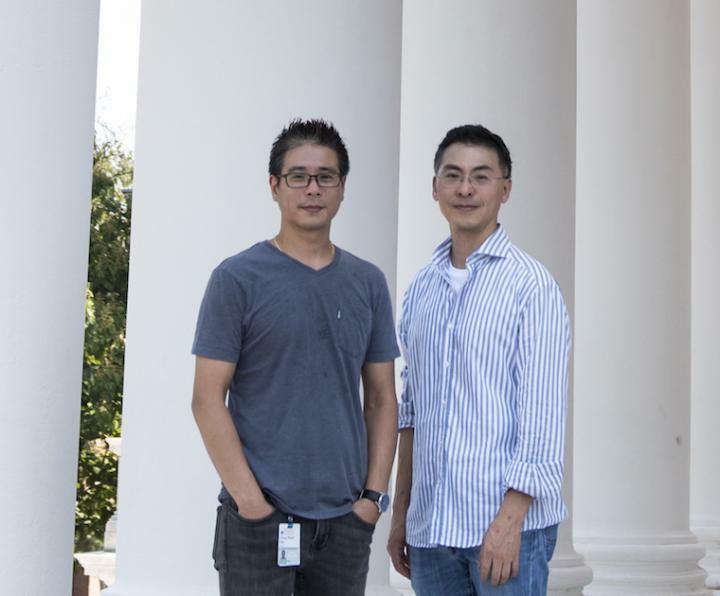 "Our work provides proof-of-concept for new models in which we can test numerous genes and mutations simultaneously, sometimes one-by-one, sometimes combinations of the different mutations," said researcher Kwon-Sik Park, PhD, of the School of Medicine and the UVA Cancer Center. "Patients not only acquire different mutations but they acquire combinations, so you have to model really faithfully to understand what is happening." One of the biggest obstacles for cancer researchers today is the sheer volume of variables at play when a healthy cell turns cancerous. This often makes it difficult for researchers to determine where to focus. "We can have hundreds of candidates," Park explained. "You want to know which one is really the driver, so we can prioritize for further study in developing therapy." The new approach developed by Park, of UVA's Department of Microbiology, Immunology and Cancer Biology, and his colleagues will help with that. They have demonstrated the approach's potential by creating a model of small-cell lung cancer (SCLC), the most aggressive and fastest growing form of lung cancer. In creating the model, the researchers used CRISPR – a gene editing system that has revolutionized genetic research in recent years – to mimic mutations often seen in patients with small cell lung cancer. The scientists wanted to see if the mutations collectively would cause pre-cancerous cells to become cancerous. And they did, even though the individual mutations, on their own, might not have. The researchers were able to show that an important contributor to the development of the cancer was a common mutation in the CREBBP gene. The gene, in its non-mutated form, is thought to act as a tumor suppressor by turning on genes that attach lung neuroendocrine cells together and prevent uncontrolled growth. "Those particular cells become mutated by the carcinogens from smoke," Park explained. "When the cells acquire that part of the mutation, CREBBP mutation, they lose their interactions with the neighboring cells. Normally, this lost cell-cell contact would prompt cells to die through a process called programmed cell death or apoptosis. However, if the same cells acquire additional mutations in other critical tumor suppressor genes such as RB and P53, as is frequently the case in SCLC, then instead of dying, they survive and continue to expand." The researchers were able to determine exactly what molecular changes are occurring within the cells as a result of the mutation. With follow-up studies of the information, the researcher at UVA hopes to provide critical insights into strategies for stopping the cancer's formation and spread. "By understanding how the disease actually arises and the key players in the disease," Park said, "we can design strategies for detection and prevention as well as treatment." Park and David MacPherson at Fred Hutchinson Cancer Research Center in Seattle led the collaborative research team that includes Deshui Jia, Arnaud Augert, Dong-Wook Kim, Emily Eastwood, Nan Wu, Ali H. Ibrahim, Kee-Beom Kim, Colin T. Dunn, Smitha P.S. Pillai, Adi F. Gazdar and Hamid Bolouri. The work of the Park lab at UVA was supported by the National Institutes of Health grants (R01CA194461 and R03CA215777), the American Cancer Society grant (RSG-15-066-01-TBG), the David R. Jones Fund, the UVA Department of Surgery and the UVA Cancer Center (P30CA044579). The new findings and other unpublished results have helped the Park lab obtain a new NIH grant and become a full member of the NIH SCLC Consortium as one of 13 institutes nationwide that work cooperatively to understand the biology of the most aggressive lung cancer.